Cellular chromosomal DNA is the principal target through which ionising radiation exerts it diverse biological effects. 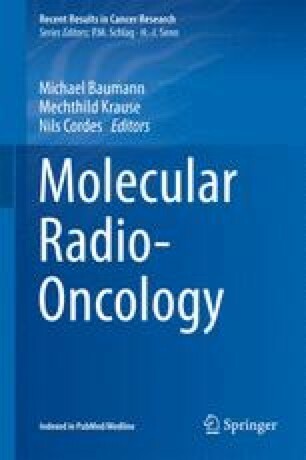 This chapter summarises the relevant DNA damage signalling and repair pathways used by normal and tumour cells in response to irradiation. Strategies for tumour radiosensitisation are reviewed which exploit tumour-specific DNA repair deficiencies or signalling pathway addictions, with a special focus on growth factor signalling, PARP, cancer stem cells, cell cycle checkpoints and DNA replication. This chapter concludes with a discussion of DNA repair-related candidate biomarkers of tumour response which are of crucial importance for implementing precision medicine in radiation oncology.